Dinner at Shiro Japanese Restaurant on Cambie Street on December 27, 2010. Colene and I trekked to Shiro for a post-Christmas dinner before I starting work in the new year. It is a small place, but was packed with hungry customers. There was already a healthy line when I arrived. Fortunately, the wait was fairly short. I felt the pressure as I could tell the waitress wanted us to order quickly and provide a fast customer turnover. She asked us three times if we were ready to order before we finally were and the first time she asked was only a few minutes after being seated. It was a little annoyed that we had to ask for tea. I do, however, understand they were quite busy. And now onto the food. 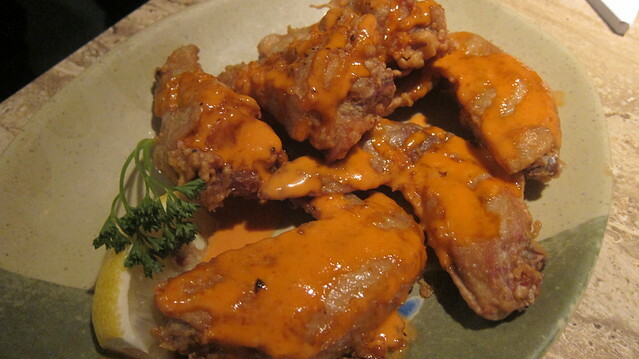 The spicy chicken karaage wings were quite delicious. I really enjoyed the spicy, tangy sauce. I would have preferred the boneless style karaage some restaurants have but that's just me. 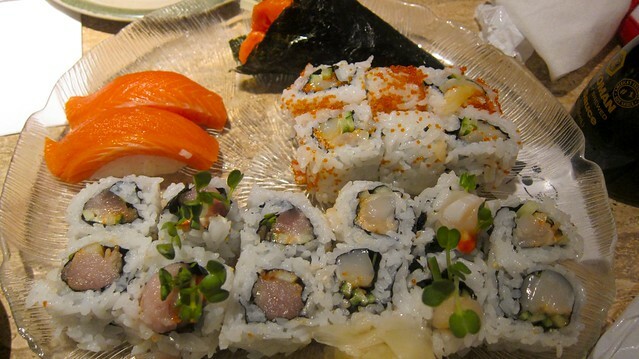 All the sushi dishes were good including the chopped scallop and spicy salmon temaki. The fish tasted fresh and was well cut and arranged. Everything was clean and pleasingly served. 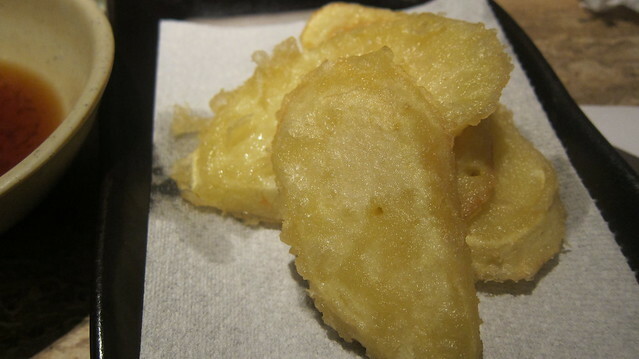 The sweet potato tempura special was fine, not sure what I was expecting. I do like the simple, basic portions and style of Shiro. Everything was good and it ended up being a satisfying dining experience. 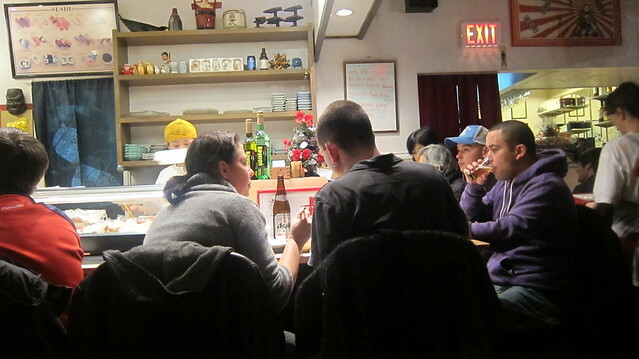 The sushi and cooked dishes were pretty solid and I left with little to complain about.